Collect all the orders and reach 15000 points to complete the level. This level have normal difficulty and you should play with simple technique to complete this level easily. For this level first try to play from bottom to break blockers and make striped candy any where you get chance. 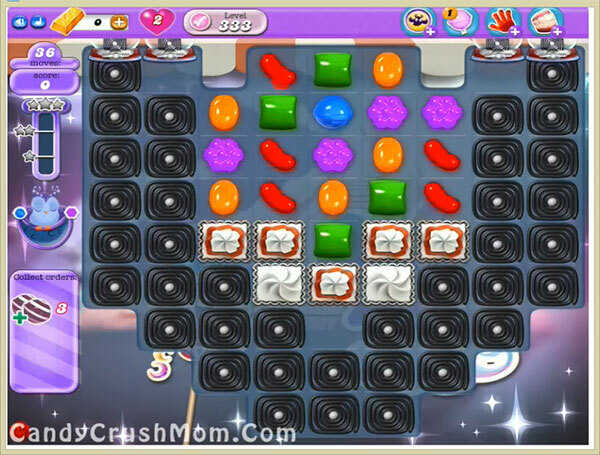 After wait till moon struck and you will get more chance to make striped candy. Try to make striped candy combo with balancing the Odus owl to reach requirement without wasting lives. We completed this level with 52720 score using same trick and strategy that we share above and easily got three star score before 8 remaining moves.